Has your child's play date suddenly turned into a sleepover? No problem! With the practical mobile Tandem Bed, you're already prepared. Has your child’s play date suddenly turned into a sleepover? No problem! With the practical mobile Tandem Bed, you’re already prepared. 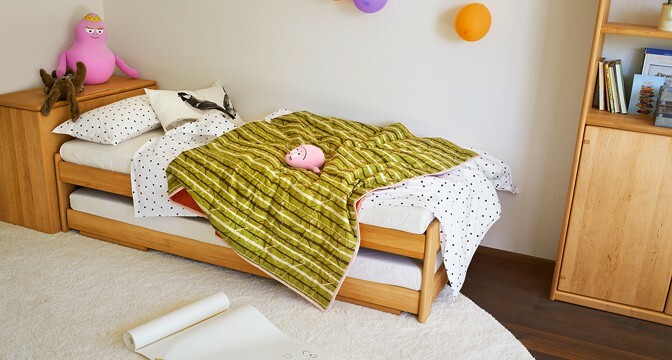 Child’s play to use and quick and easy to set up, this single bed can be easily transformed into a high-quality double bed. 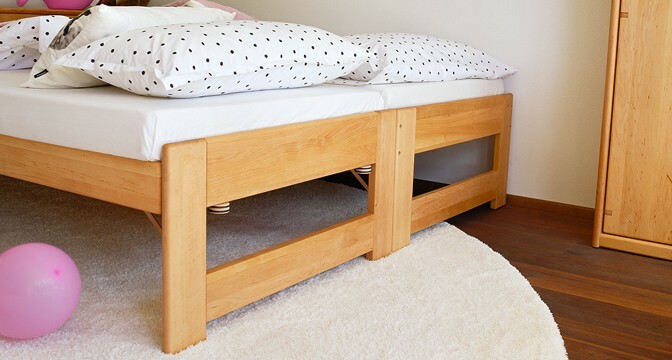 And once your young visitor has left, the mobile tandem bed can be folded down for compact and space-saving storage under the bed… until the next sleepover, that is.